IN THE SPRING of 1917 Sakari Pälsi got an opportunity to accompany a waltz lesson for geishas. Pälsi was starting a three-year expedition to the Chukchi Peninsula in the easternmost part of Russia. 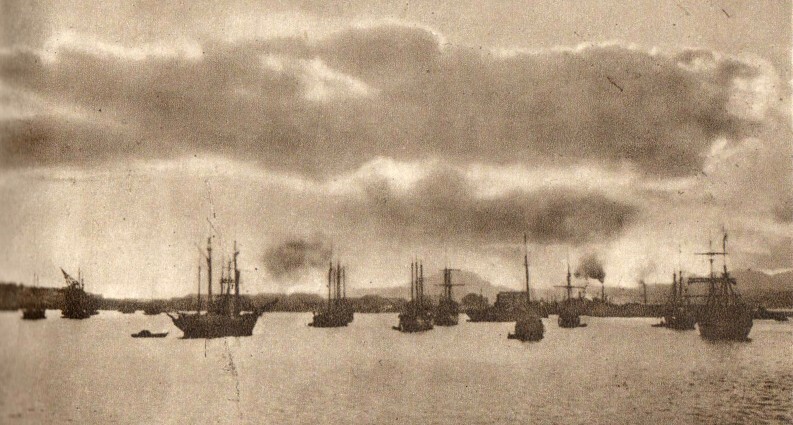 The ship made a three-day stop in the Japanese port of Hakodate in the southern tip of Hokkaido. The Finnish author and explorer Sakari Pälsi was famous for writing witty stories about little boys’ exploits for the magazine Suomen Kuvalehti. Those stories have been compiled into books, including Sitten äitini antoi minulle tukkapöllyä (”Then My Mother Pulled My Hair”, 1931), Fallesmannin Arvo ja minä (”The Police Chief’s Son Arvo and Me”, 1932) and Minä olin pikkuinen vielä (”I Was Small Yet”, 1944). As far as I know, none of the books have been translated into English. 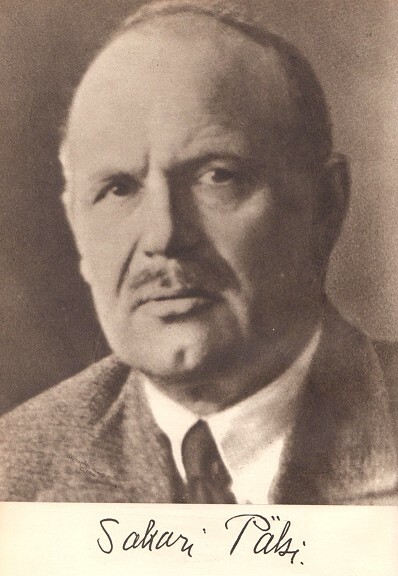 Sakari Pälsi (1882-1967) was a multi-talented adventurer, archaeologist, explorer, writer and museologist. His extensive travels are reported in a plenty of books, articles, photos and even documentary movies. He was born in Loppi in the Finnish Häme. He studied archaeology and history in Helsinki. He worked at the Finnish National Museum from 1909 up until 1946, when he retired to be a freelance writer. Pälsi’s most famous scientific discovery is the world’s oldest Stone Age fishing net from Antrea. His ethnological books and writings describe for example Finnish lumberjacks, seal hunters, the sauna and the puukko knife. His expeditions include travels to Karelia, Mongolia, Canada and the Kamchatka Peninsula. Hakodate harbor was full of fishing boats. From the Book Maailmanmatkoilla (Otava 1946). ALTHOUGH Sakari Pälsi spent only three days in Hakodate, he explored the town with the full devotion of an ethnographer. ”On the first day I wandered on my own in the town, bought tobacco for the long trip and watched the street life,” Pälsi wrote in his book Maailmanmatkoilla (”Travels in the World”, Otava, 1946). Pälsi observed the penetration of European culture to Japan. Among the wooden houses with paper windows there were modern stone buildings. Police uniforms were the same universal model as anywhere. Many men wore Western-style suits, but women had still traditional Japanese clothes. ”The Japanese used very much paper,” Pälsi wrote. Windows, parasols and fans were made of paper. Stores displayed raincoats made of oiled paper. Well, at least paper lanterns had been replaced with electric street lamps. But by far the largest amount of paper was used by the extensive bureaucracy – thousands of bills, catalogs and letters were written with squirrel-hair brushes and stamped in red. Pälsi also noted the sullen attitude towards Russians. Little boys shouted nasty words at them, and the adults charged them excessive prices. In the evening Pälsi walked boldly into a local seamen’s tavern, together with two other Finns. Customers were sitting on the floor. They were drinking warm sakee (Pälsi actually wrote sake like this) from tiny cups and eating salted and roasted peas. The tavern was somewhat frightening, as it was placed partly over water, and the floor planks were pretty loose. A careless tourist might get robbed and pushed into the sea. Pälsi comforted himself by thinking that ”there are not very many robbers anywhere in the world, and in Hakodate probably less than half of the amount in Helsinki”. AFTER Pälsi had seen the common folks, the next day was committed for finer people in Hakodate. With the help of a Finnish acquaintance Pälsi met a businessman called Saito, who showed the town to him. He saw the beautiful view from the ”Mountain of the Reclining Ox” (Gagyuuzan, a nickname for Hakodate Mountain). He was offered a meal in a restaurant, which even the Japanese prime minister reportedly used to visit. Mr. Saito turned out to be a great admirer of nature and beauty, and Pälsi gained access to a garden of dwarf trees (bonsai). Pälsi unfortunately missed the chance to buy a half meter tall cedar, which the gardener’s great-grandfather had planted. The tree would have been too inconvenient to carry along on a three-year expedition. The dishes were good, Pälsi wrote, but still eating was not the main point. At the hosts’ command, the opposite wall was opened, and the diners were surrounded by two women playing guitars, three dancing girls and four women ”who had no other function than to fill our glasses”. When getting more drunk, the hosts and guests began to dance with the geishas. The evening culminated with the Finnish mechanic called Majanen trying to teach the waltz to the geisha girls. As no waltz music was available, Sakari Pälsi tried to sing Lehar’s The Merry Widow for accompaniment as well as he could. Although the long Finn and the short Japanese girl were an unbalanced couple and the tight kimono caused harm, the steps of the dance started to flow. Soon also ”Majanen and the lean humorous geisha were waltzing in an exemplary way”. Even Saito and Muto where willing to learn waltz, and the geishas were so enraptured that they practised between themselves while the male partners were resting.